Sara Ali Khan holidaying in New York. Sara Ali Khan is currently vacationing in New York with her gal pals. The actress has definitely earned herself a vacation after a splendid 2018 with two films, her debut Kedarnath as well as Simmba bringing her all the praises. Sara recently wrapped up a schedule of her upcoming film, Love AajKal 2 with Kartik Aaryan and hence we believe the 23-year-old is now chilling in New York. It has been an absolute delight to watch Sara have a fun time with her friends and especially those crazy boomerang videos have been keeping us entertained. 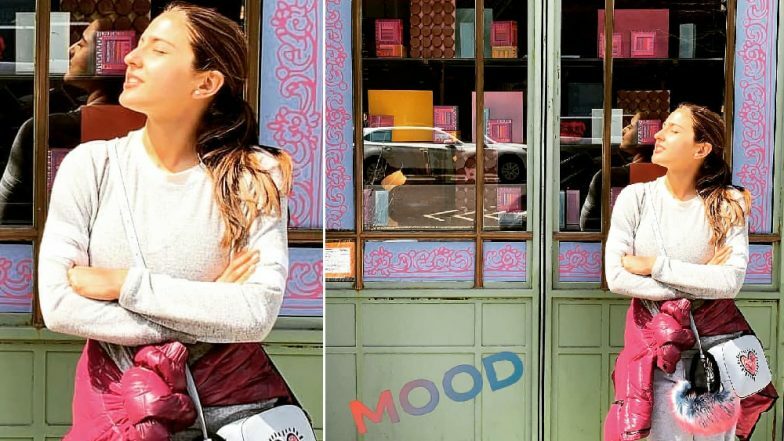 From eating at her favorite places to shopping, Sara Ali Khan is making the most of her vacation. What's amazing is that even on holiday, the Simmba star made sure to hit the gym and posed along with her friend for a boomerang where she is seen flaunting her perfect midriff. We'll show you how fun Sara Ali Khan's vacation is looking right now with these boomerangs. Randeep Hooda Will Give Love Tips to Kartik Aaryan For Sara Ali Khan? 1. Have you ever seen someone so excited to eat? Sara Ali Khan was spotted in New York's Westbourne restaurant, enjoying what looks like a colorful breakfast spread. The actress was seen with a friend and a boomerang of the star shows her all smiles while tossing a bite. 2. Sunny days need to celebrated! 3. Because even gym sessions on a vacation can be fun! We all need to take inspiration from Sara when it comes hitting the gym even on a holiday. The actress recently posted a boomerang with her friends where they are all set to enjoy a yoga session together. On the work front, post her vacation, Sara still has Love Aajkal 2 and the Varun Dhawan starrer Coolie No 1 remake to work on. Ever since we have seen the first look of Love Aajkal 2 soon, we can't wait to see more of the cute on-screen couple. The film will be releasing over Valentine's Day 2020.